What are the 4 Grand Slam tournaments? Every year, there will be as many as four Grand Slams which will pit some of the world's best against each other. Unlike the ATP Tour events which are contested for 250, 500 and 1000 points, Grand Slams have 2000 points at stake. The first Grand Slam of the season is the Australian Open that takes place in January. It is held at the Melbourne Park that has Rod Laver Arena, Margaret Court Arena and Melbourne Arena as the main courts. 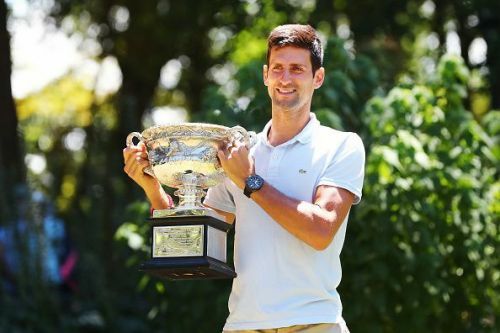 It is a hard court tournament and Serbian Novak Djokovic is the most successful men's player in the competition with seven titles while Margaret Court has won the title on 11 occasions, the most by any female star. The second Grand Slam of the year, French Open, is played on the clay courts of Roland Garros and it is the only Grand Slam on this surface. French Open's main courts are Philippe Chatrier court and Suzanne Lenglen court. It is the holy grail of Rafael Nadal as the Spaniard has won 11 titles here while Chris Evert is the most successful woman with seven championships. The third Grand Slam of the year is the Wimbledon which is played at the All England Lawn Tennis Association at SW19 in London. Centre court is the main court of this Grand Slam. Like the French Open, this is the only Grand Slam on this surface (grass). Roger Federer and Martina Navratilova are the most successful players from the men and women categories respectively here as they have won eight and nine titles respectively. The United States Tennis Association Billie Jean King National Tennis Center at the Flushing Meadows in New York hosts the final Grand Slam of the year, the US Open. This is the second hard court Grand Slam after the Australian Open. Roger Federer, Jimmy Connors and Pete Sampras have all won five titles while Chris Evert and Serena Williams have won six titles each. Which is the most prestigious Grand Slam? All four Grand Slams are prestigious in their own way but most of the fans believe that Wimbledon, which happens in the traditional manner, is the most prestigious tournament. Rafael Nadal's biography contains an artistic tennis reference, which is a masterpiece.